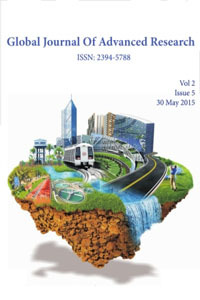 Research and Review Articles are Invited for Publication in 30 April 2019 Issue. 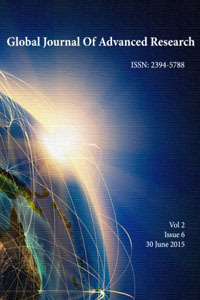 Volume 6, Issue 2 is now available online. 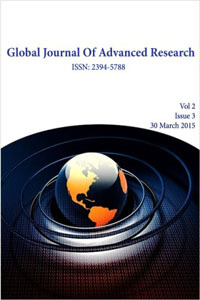 Global Journal of Advanced Research (GJAR) is an international, open access, online, peer-reviewed and monthly publishing journal in all fields of Life Sciences, Health Science,Science and Engineering and Social Science and Humanities on the basis of its originality, importance, interdisciplinary interest, timeliness, accessibility, elegance and surprising conclusions. 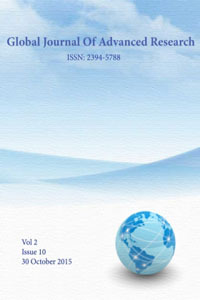 GJAR aims to promote rapid communication and exchange between the World as well as other Research Scholars, Universities and academic institutions. It mainly reflects the latest advances being made in many disciplines of scientific research in universities and academic institutions. 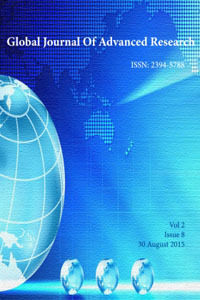 The journal also publishes papers presented at conferences worldwide. 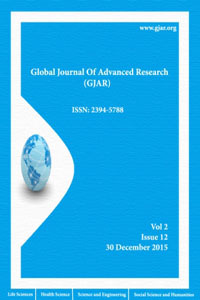 The multi-disciplinary nature of GJAR is apparent in the wide range of articles from leading Research scholars. 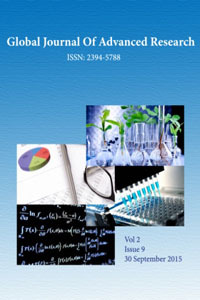 This journal also aims to introduce to provide help to authors to publish their papers in a convenient way and spread their research worldwide. 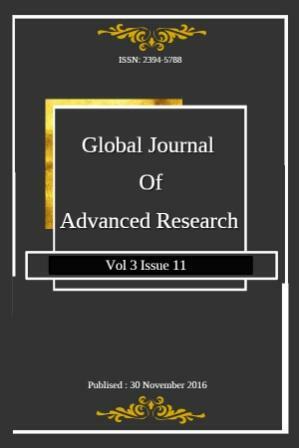 Global Journal of Advanced Research ( GJAR) is a monthly, open access, peer reviewed and fully refereed international journal with very low research paper publication fee. 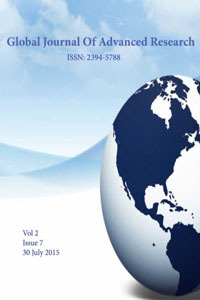 Being an Global Journal focused on Life Sciences, Health Science, Science and Engineering and Social Science and Humanities, we broadly cover research work on next generation cutting edge technologies and effective marketing strategies. Writing a research paper is a skill and Global Journal of Advanced Research have the team of scientists and academicians who are dedicated to help learn and improve that skill by providing a guide for writing high quality research papers through peer reviewing. 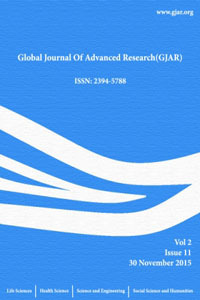 Critical evaluation of research paper is a prime focus of each member of Global Journal of Advanced Research ( GJAR) Reviewer Panel for identifying Plagiarism. 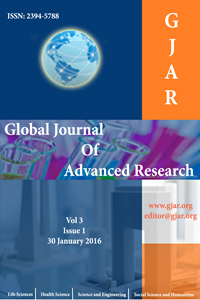 We try our best to ensure the novelty in each research manuscript being published in Global Journal of Advanced Research ( GJAR).